Scaling SQLite to 4M QPS on a Single Server — Tips and tricks for scaling SQLite for 4M real-ish queries per second on a single server, and how bare metal compares to EC2 for this workload. ViyaDB: An In-Memory Columnar Analytical Data Store — An in-memory data store designed for fast, ad-hoc analytic queries and written in C++. Queried via a REST and JSON-powered API. How to Query MongoDB with SQL? 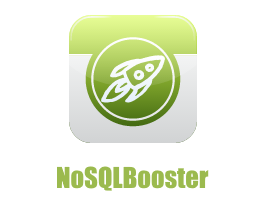 — This post is a step by step tutorial on how to run SQL SELECT Query against MongoDB with NoSQLBooster. SQL support includes SQL functions, expressions, aggregation for collections with nested objects and arrays. How 'Meltdown' and 'Spectre' Will Impact Analytics — Fixes for the recently revealed CPU security vulnerabilities are having varied impacts on performance. PostgreSQL is DB Engines' 'DBMS of the Year' 2017 — Postgres might not be new, but its popularity has increased in the last year, fuelled by some fantastic releases, like Postgres 10, and its newest features. In Major Shift, Amazon, Salesforce Move Away From Oracle? — Sorry, most of the story is behind a paywall, but in a nutshell it seems Amazon and Salesforce are making ‘significant progress’ in getting off Oracle’s technology. Meltdown's Impact on Cassandra Latency — Benchmarks showing a 20% latency increase for both reads and writes. Graph Databases Hit Wall Street — They’re naturally suited to applications from risk assessment to portfolio management. 3-Minute Test: What Do You Know About SQL Performance? — Five questions to see how much you know about SQL performance. Never make these mistakes again.